Who is Liable if a Service Dog Attacks? The popularity of raising and training service dogs has grown in recent years. It has become so popular that people are taking advantage of the uniform and claiming their pets as service animals, which has led to new laws regarding service animals. Since these dogs are trained to help the disabled, what happens if a dog bite occurs? Depending on the circumstance, you may be able to get a lawyer involved. Dogs that fulfill the role of a service animal have been bred to do so. The animals spend more than a year in a home where they learn good behavior, form relieving patterns and are introduced to different environments. Throughout the year, they are put through stress tests and learn how to handle situations that may occur on the job. Most dog bites occur in high stress situations so, dogs that cannot learn appropriate ways to deal with stress don’t get placed as service dogs. 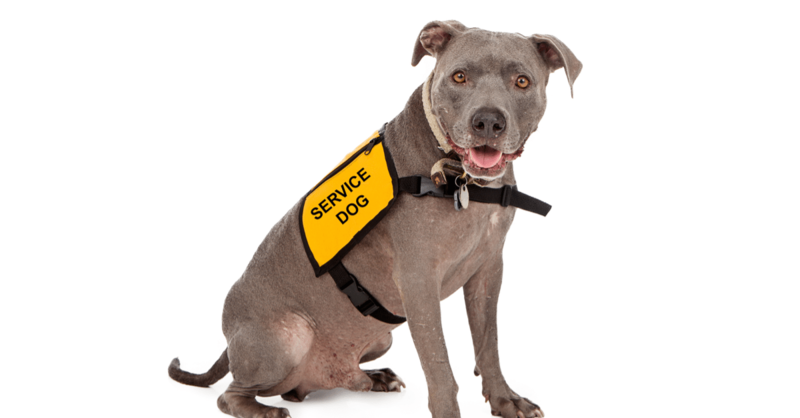 According to the ADA, a service animal is defined as a dog that has been individually trained to do work or perform tasks for an individual with a disability. Under the ADA, service dogs and their owners are protected from almost everything. When it come to a dog bite, you may still be able to get a lawyer involved depending on the circumstances. In the case of a dog bite, the victim of the bite must prove that the animal wasn’t provoked in anyway, which isn’t always easy. If brought to a court in Salt Lake City, the court has to examine the provoking action to determine if a reasonable mind would see the conduct by the victim to be provocation. Since emotional support animals do not receive the same training as service animals, the ADA does not protect emotional support animals. However, if a dog bite occurs, the victim may contact a lawyer to prove that the owner is liable. It is important to remember that a service dog is still an animal and will act accordingly. To avoid reaching out to a lawyer from a comprising situation, be aware and use your best judgment. What Happens if A Support Dog Bites You?